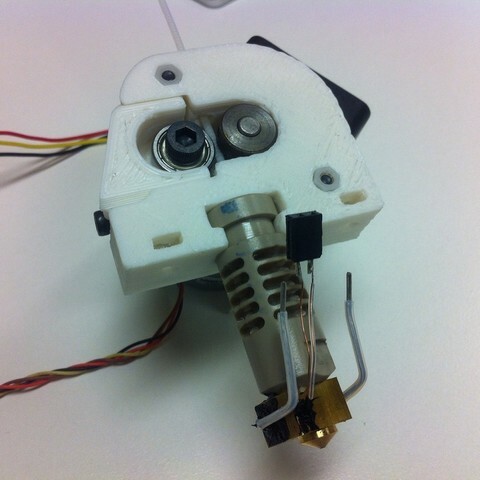 A print head body for J-Head Mk V-B and a Minebea geared stepper motor. 215grams total weight. Designed for my Delta Printer - Coming Soon. Print and attach to your printer. Screw mounts for custom base plate. The J-Head clips into place. Use M3 plastic nuts for PCB stand-offs insert into main body for M3 hardware and associated printed hardware from thing:24390.